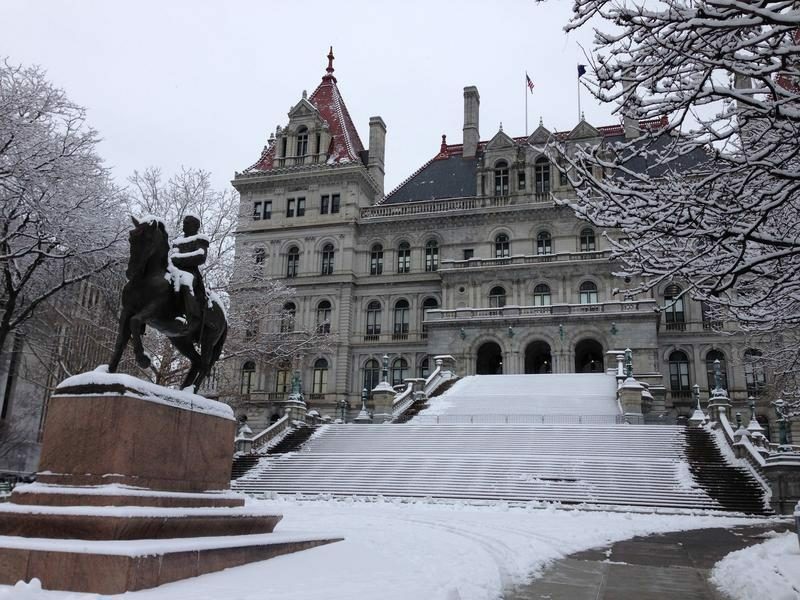 ALBANY (WSKG) – Governor Cuomo introduced legislation to end what’s known as the carried interest loophole, a measure long sought by the left of the governors’ Democratic Party. Under Cuomo’s bill, carried interest, which is essentially income for partners of hedge funds and other private investment companies, would have to be taxed at the same rate as income. Currently, it is assessed at the lower rate of the capital gains tax. The Business Council’s Heather Briccetti says wealthy hedge fund managers already pay a significant portion of the total taxes collected in the state, and could cause them to leave the state. “If just a couple of them leave, it’s a pretty big hit,” Briccetti said. She says it would only encourage the wealth in New York to move their permanent residency to states like Florida, where the taxes are lower and the economy is strong. “I don’t think that’s a good strategy,” she said. The governor says the state could gain over $1 billion dollars in tax revenue from the change, and the bill is backed by left leaning and progressive groups. “Governor Cuomo is demonstrating real leadership on tax fairness and standing up for regular New Yorkers,” said Michael Kink, with the Strong Economy For All Coalition. But it can only work if the neighboring states of New Jersey, Massachusetts, Connecticut and Pennsylvania also adopt it.